This is an appeal to all of my friends , readers and bloggers on behalf Anita Lakshmi. We have set up a bank account and consulted a lawyer for all other formalities. 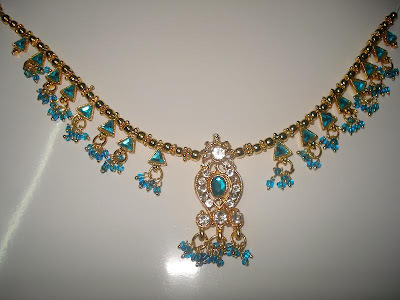 I have also roped in Lakshmi of The Yum Blog. Since she is a volunteer for the Banyan, she said she will try to get help from people she knows. I will also be involving other Chennai food bloggers in this fund raising. We will be managing the funds and will pay the hospital directly, once she gets admitted. No funds will be directly handled by the family members. The fund collected will be used for her operation, post operation charges plus to support them for atleast few months. I appeal to my friends and viewers to help us achieve this target. Here is my Raffle Prize sponsored by my sister. 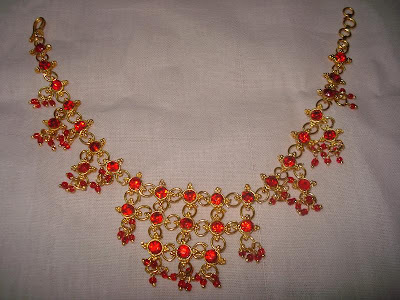 Red stone embeded Necklace with matching pair of ear rings. Please forward the mail to lakshmi.fundraising@gmail.com. and goes directly to Lakshmi's account. That's very nice of you... The raffle prizes are also beautiful. Kamala, Thank you so much for your support! so nice of u dear ...prices r lovely..
beautiful prizes, Kamala.. Its so nice of you..